The Model Artist Exhibition places a twist on the conventional artist exhibition where one artist shows work of multiple models or subjects. This exhibition showcases artwork featuring the same model, but from various artists. Hazel Vellichor, was born and raised in Visalia. She has spent the last three years working with local photographers and artists to develop her skills as a model as well as theirs as artists. This exhibition is an opportunity to celebrate the talent she has been fortunate enough to collaborate with, as well as to showcase the very wide range of art a single model can inspire. 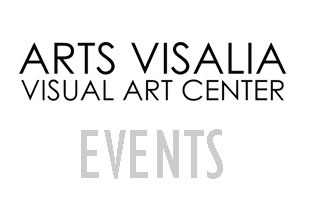 Hazel is also a part of Arts Visalia’s monthly figure drawing workshops. Artists featured: David Cain (DPCS), Blake Dieters, Ryan Mayo, Brandon Rather (Rather B’s Photo), Johnny Lopez, Troy Newland, Cris Rodarte (Rodarte Media), Marty McKee (MarVal Photography), Tony Avila (Avila Studios), Rudy Castillo (Lysarian Creations), Michael Alvarez (Alvarez Photography Studios), and Marcos Dorado.